The only things more terrifying than your dark disposition and your reputation of destroying every village you pass through are your large, foreboding shoulders, and that is all thanks to the impressive Blackened Georg Spaulders! 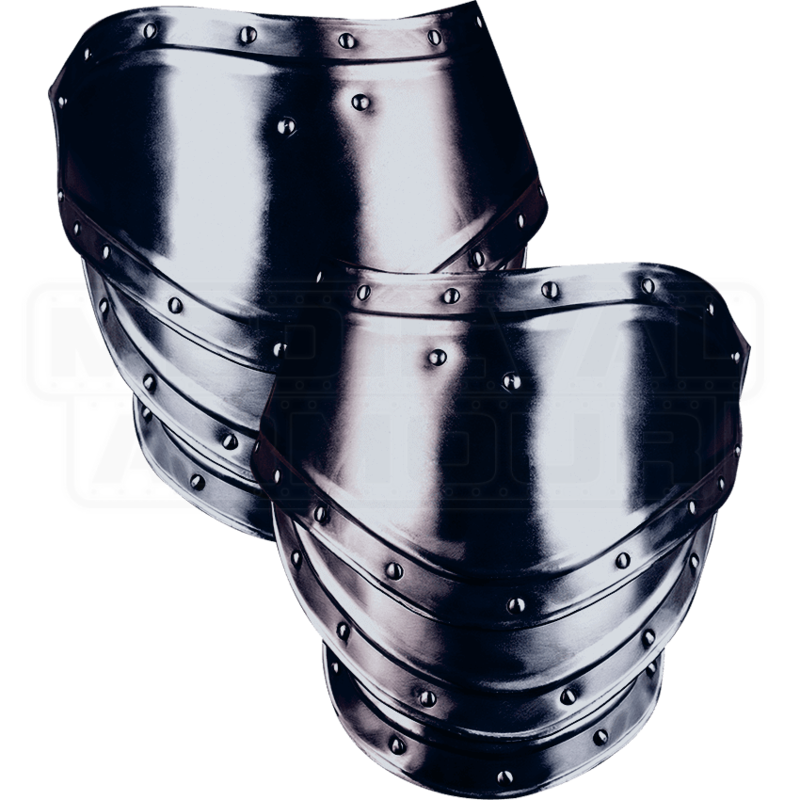 These handmade, 18-gauge steel pauldrons offer a broad range of coverage, completely covering the upper arm, as well as a considerable portion of the chest and back. They attach to another piece of armour, such as a gorget, breastplate, or cuirass, via leather straps and buckles. These spaulders were originally designed for use with other pieces from the Georg armour set, but they can also be paired with any gorget or cuirass that features the appropriate attachment points. Ornamental riveting adorns their borders, giving them an authentic medieval look, and their black metal finish only adds to their grandeur. These pauldrons are also segmented in three places, allowing for flexibility. 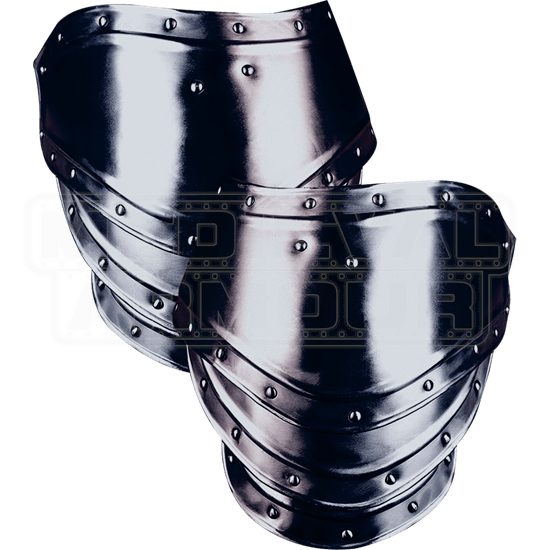 The Blackened Georg Spaulders make a fantastic addition to any LARP or reenactment suit of armour.